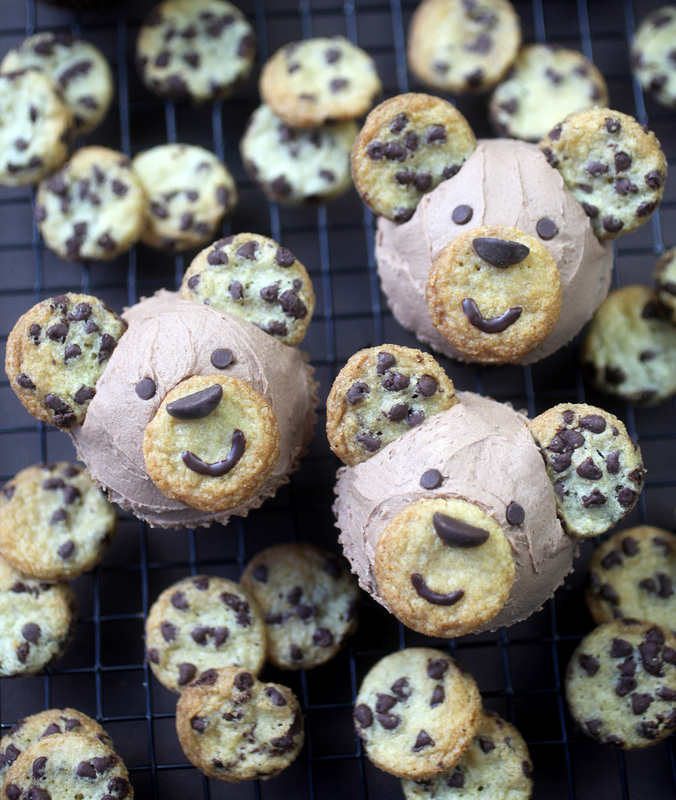 I’m sharing some cute chocolate chip cubcakes today. 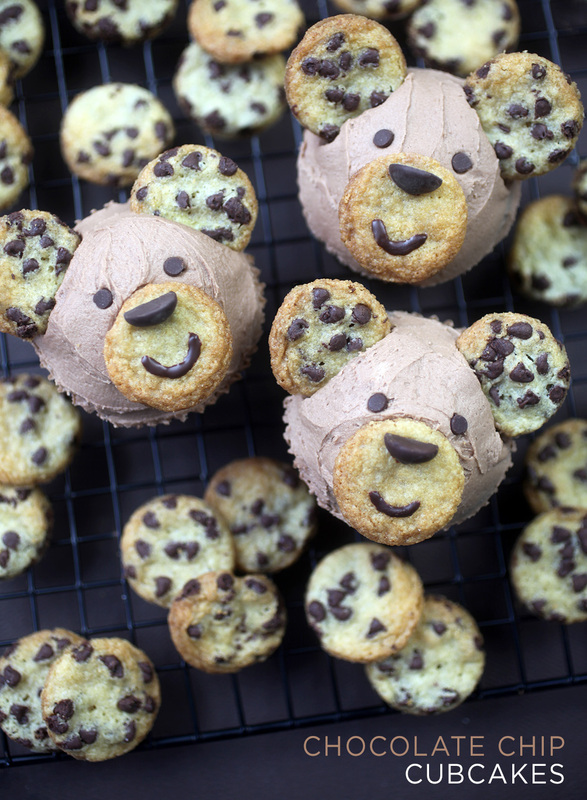 That’s right … these adorable little bears come complete with chocolate chip cookie ears for you to nibble on. 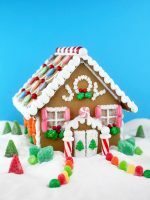 They are pretty easy to decorate, too. 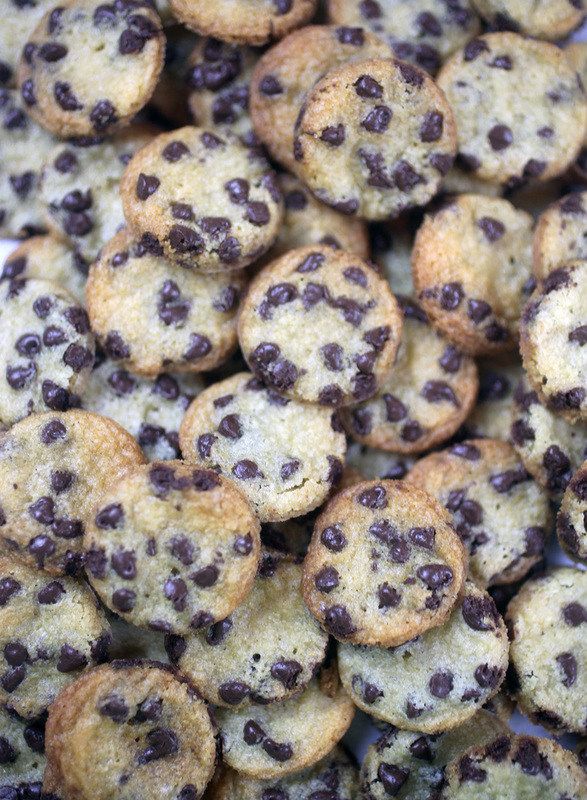 Of course, you’ll need some tiny chocolate chip cookies. Recipes are below. 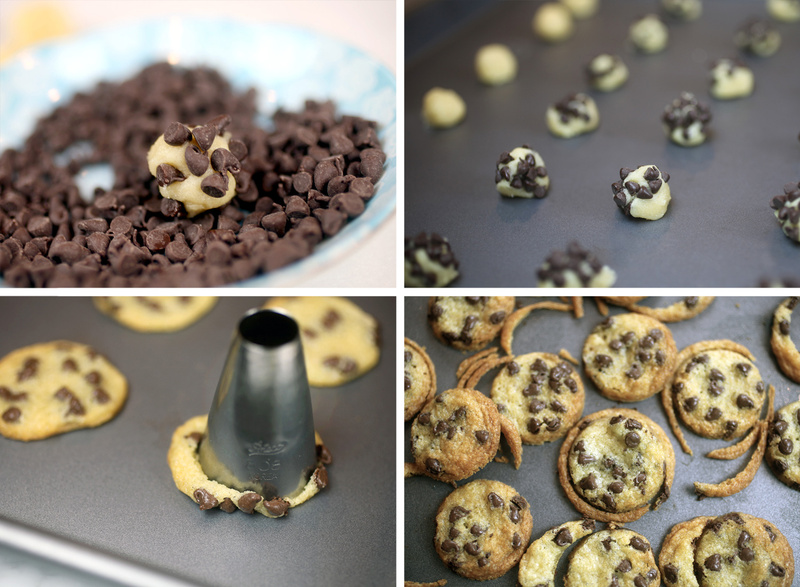 Mix up the cookie dough, but don’t mix the mini chocolate chips into the dough. I used a 1-1/2 inch scoop to start with. 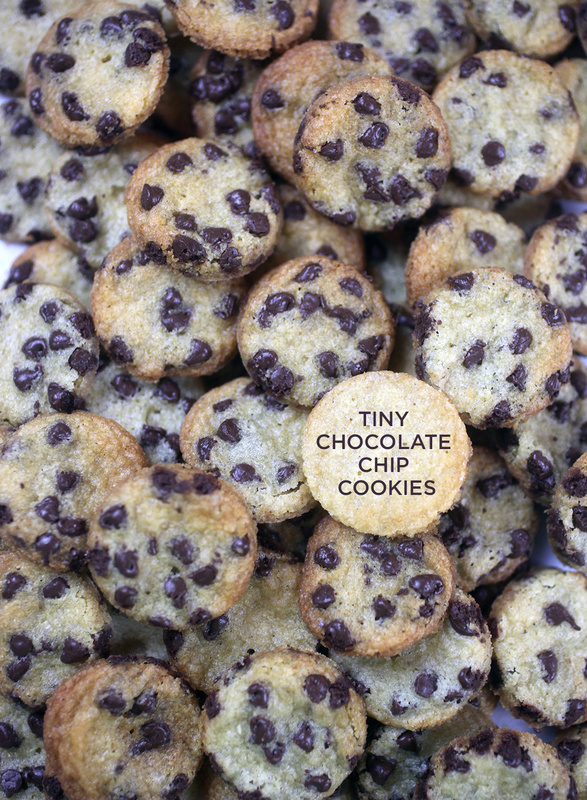 You know trying to get teeny-tiny cookies. To get them small enough I then divided the dough into roughly six equal sections and then rolled those sections into tiny balls of dough. 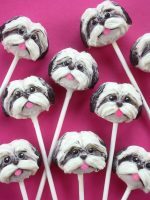 For the cub’s mouths, you can just bake the cookies without chips, but for the ears, simply dip the ball into a bowl filled with mini morsels. They’ll stick to the dough and then you can just press them in slightly to stay in place. 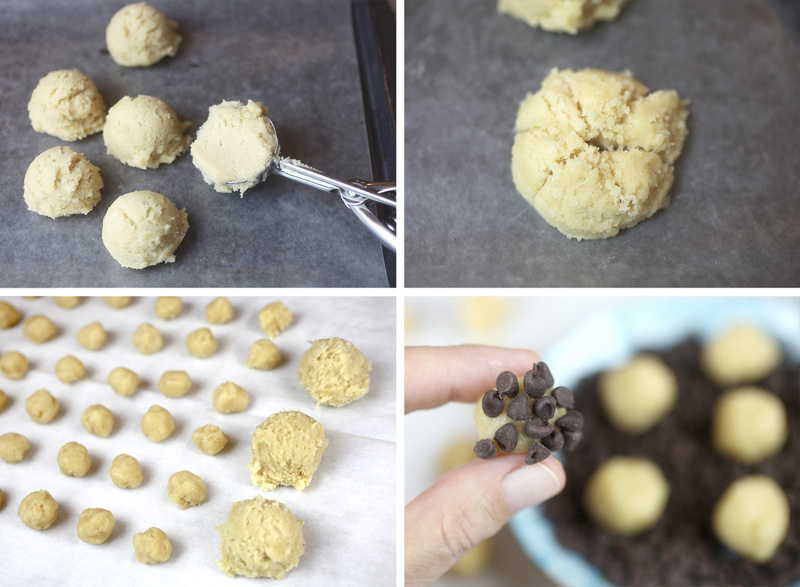 Place the cookie dough balls on a cookie sheet about two inches apart to bake. 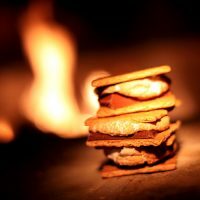 They only take about 5 minutes at 375 degrees F. Remove them from the oven and they are ready to enjoy as baby cookies. 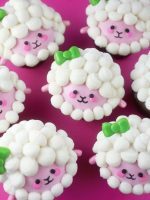 But if you want them perfectly round for cubcakes, you can use a #808 Ateco decorating tip to cut them out. Easy peasy. Frost cupcakes with brown sugar frosting and then cut some regular sized chocolate morsels in half to use for noses. 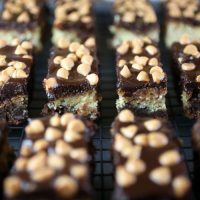 I used Ghiradelli morsels for these because they have a slightly flatter shape than Nestle. Insert two chocolate chip cookies in position for ears. Press in far enough so they don’t fall down. 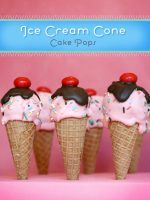 You can also take a little dollop of frosting to place behind the ears to help prop them up. For mouths, press one of the chipless cookies on the bottom part of the frosted cubcake. 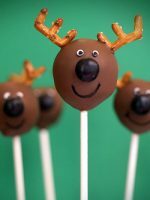 For the noses, melt a few chocolate morsels in the microwave and use the melted chocolate to attach a cut regular size morsel upside down on top of the cookie for the nose. When the chocolate dries, it will act like glue. For the eyes, press two miniature chocolate morsels into the frosting with the flat slide facing up. 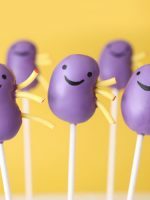 Then with a toothpick and some more of the melted chocolate, draw on a sweet little smile. So cute, I can hardly bear it. 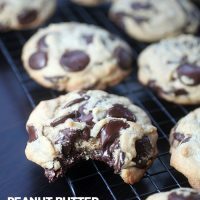 Make cookies first and even a couple days before if you want. Preheat oven to 375 degrees Fahrenheit. Whisk flour, baking powder, baking soda, and salt together in a medium bowl. In a stand mixer, cream butter and both sugars until light and fluffy. Add egg and mix until combined. Add vanilla and mix until combined. Use a 1-1/2 inch scoop to divide the batter. Then divide each scoop into six equal portions and roll into small balls. Press rolled balls into a small dish containing miniature chocolate morsels. Then place on a baking sheet about 2 inches apart. 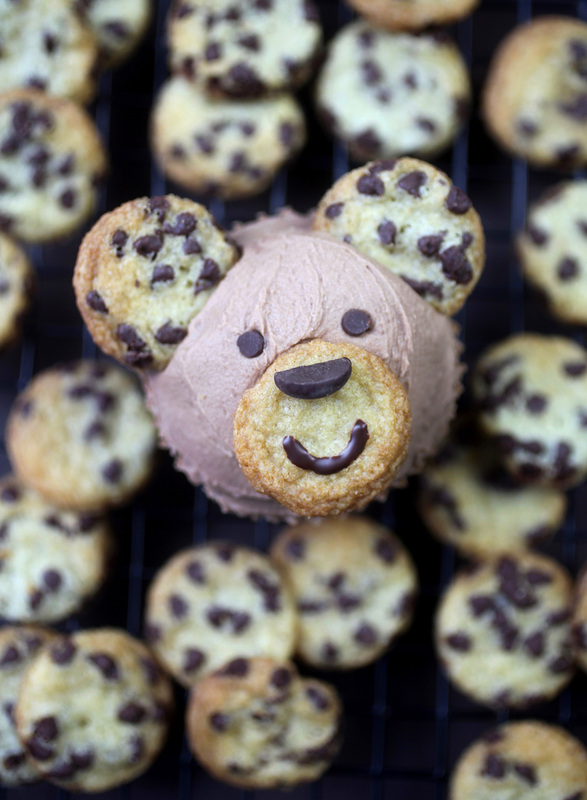 Leave some without chips if you are making cubcakes, so you can use them for the cub’s mouths. Bake at 375 for about 5 minutes or until edges are slightly brown. Makes about 90 tiny cookies. Fill cupcake tray with 16 cupcake liners. In the bowl of a stand mixer, mix dry ingredients together until combined. Add eggs, oil, milk and vanilla and mix until combined. Add hot water and mix. It will be very liquid. Sprinkle some chocolate morsels on top of the batter. Using a stand mixer, cream butter and brown sugar until light and fluffy. Whisk cocoa, powdered sugar and salt together in a medium bowl and then add it to creamed butter and sugar in several additions. Mix until completely incorporated. Add vanilla and mix until combined. Then add milk, 1 teaspoon at a time until the desired creaminess is achieved. Must try! 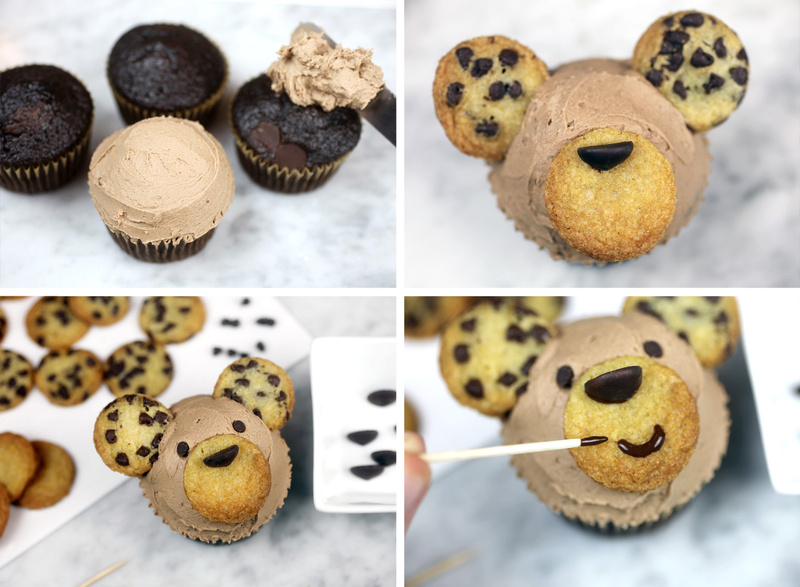 Kids will love definitely fall in love with these cubcakes. So cute. Looks like baby leopards. Super cute! 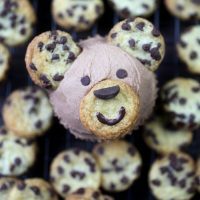 I’ve made cubcakes before using mini-oreos. Always a hit with the little ones!